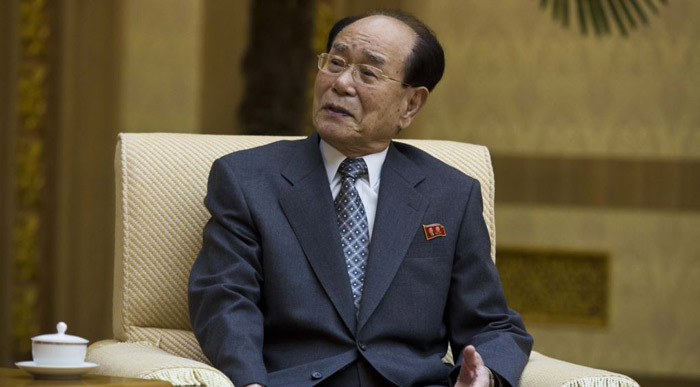 Kim Yong-nam, the head of the North Korean parliament, is being accompanied by three other officials and 18 support staff, the South Korean unification ministry said. The delegation plans to arrive Friday for a three-day visit at the start of the Pyeongchang Olympics. Pence has "grave concerns" that North Korean leader Kim Jong-un "will hijack the messaging around the Olympics. The North Koreans have been master manipulators in the past. It's a murderous state," one U.S. official said. The official said Pence is "going to ensure that, from a messaging standpoint, that [the Olympics] isn't turned into two weeks of propaganda. It's speaking truth on the world stage, which is the opposite of what the North Koreans do." The path for the North Korean visit opened on New Year's Day, when North Korean leader Kim Jong-un signaled his willingness to let Pyongyang's athletes participate in what South Korea is calling the "peace Olympics." That led to a series of high-level meetings between the two countries.